The new name of Antoniou winery is Venetsanos winery is the perfect setting for your wedding reception, special event or private party. We offer packages that include catering, wine, and setup to allow you to relax and enjoy the beautiful winery setting. Say your wedding vows in our winery during the sun is slowly setting - painting a picture perfect sunset for your wedding photos that you will cherish forever. Dance under the stars with your friends and family that you love. 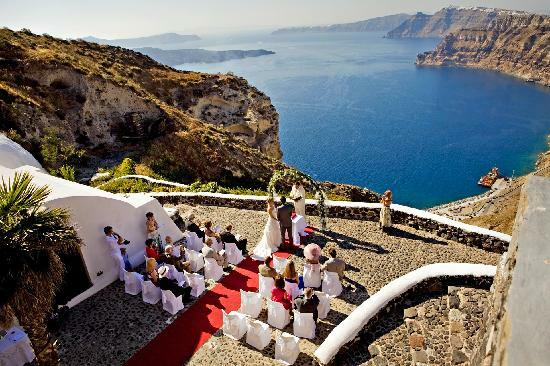 The Antoniou Winery provides one of the most romantic wedding reception sites in Santorini island.